I was feeling quite proud of myself for getting up early on a Saturday and going to my fitness class so I decided to celebrate with a pastry. 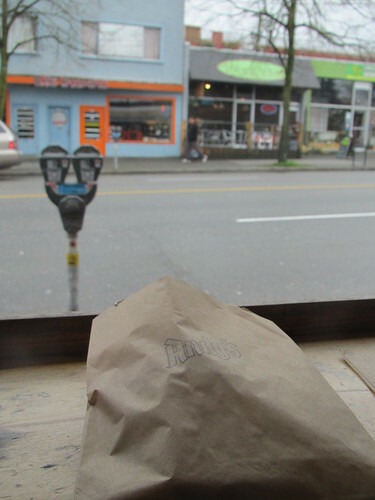 It was, miraculously, not raining and I headed out to Commercial Drive in search of my treat. Not even three blocks from my house, I went in for my first visit to Andy's Bakery. 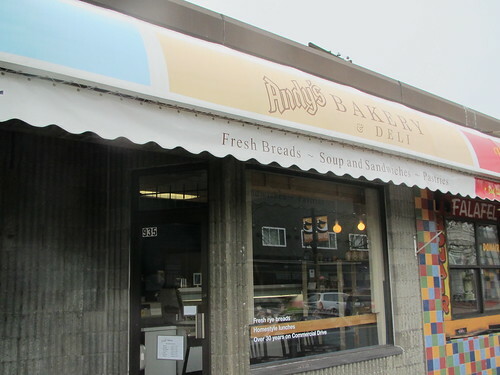 My friend Angela had recently told me that her friend Stefan had taken over Andy's Bakery even though the bakery has been on the Drive for over 28 years. For most of my time on the Drive I lived on the South end and didn't do any shopping on the North end so this was my first visit to Andy's. The bakery is small and focuses mainly on take away products, but they do have some bar seating if you want to sit to enjoy your pastry and people watch on the Drive. 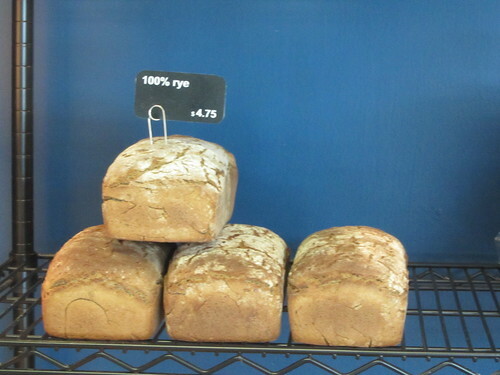 The bakery offers fresh pastries and breads daily along with some pantry items and a small sandwich menu. They have a strong German focus to their items. 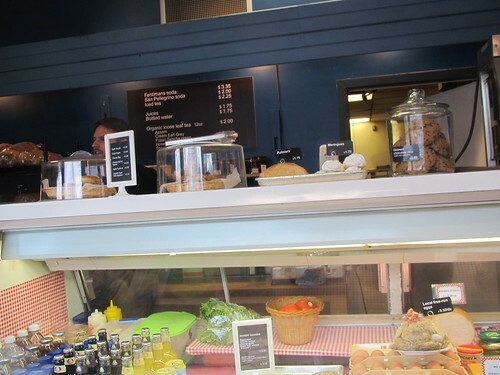 Being that the bakery is small and I was the only person taking pictures, I chatted a bit with Stefan. 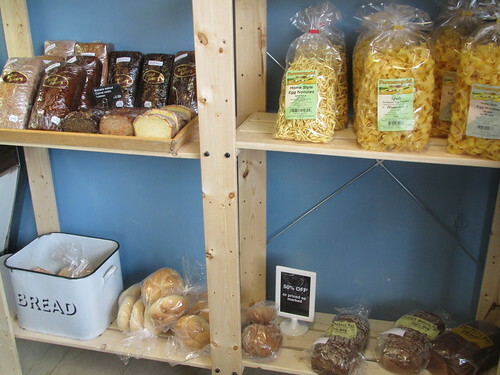 He said that he took over the bakery from his father and they were going to continue to offer the items that kept them in business for the last 28 years. I love that he grew up in the bakery and is now running it. 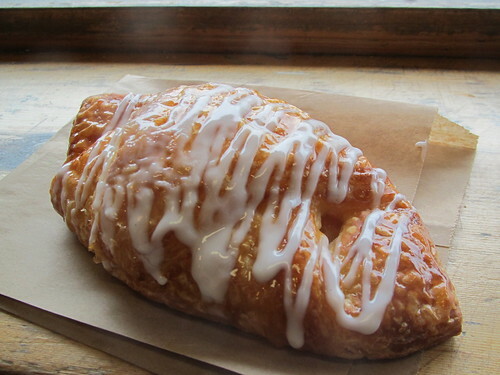 I chose the Apricot and Cheese danish. Stefan told me that they use a traditional cheese in the danish, quark cheese (I had to look it up. And deal with some Star Trek imagery). It was great. The apricots were at either end with the creamy, delicious cheese in the middle. The cheese had a soft, cream cheese texture but a tangier taste to it. The pastry was buttery and flaky on the top, as it should be. 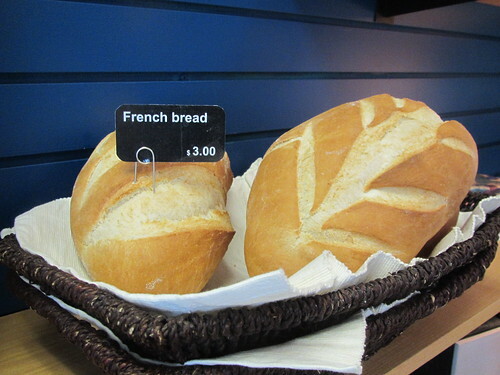 I will be back to the bakery to try their sandwiches and more pastries. The bakery business is becoming quite competitive on the Drive and I love that Andy's is continuing to be a family run business. Now what I know what they have to offer, I will be back.